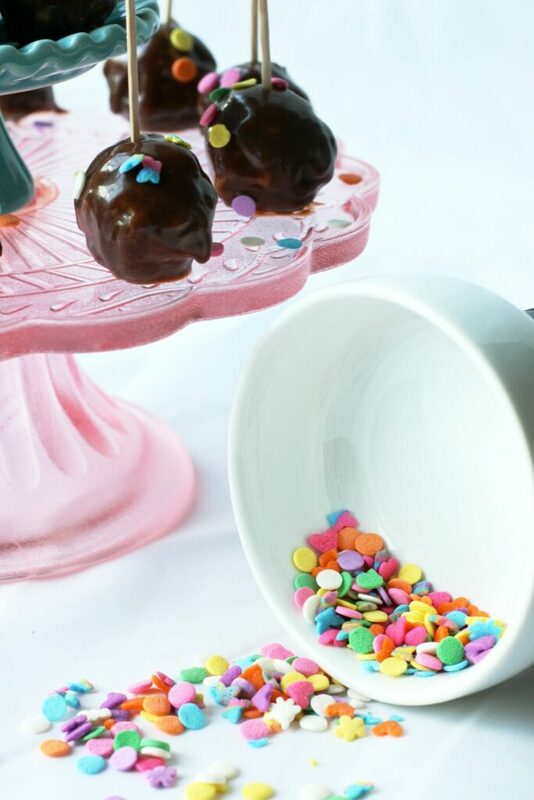 A whole lot of goodness is packed into each of these little bite-sized gems before being drizzled in some yummy, allergy-friendly melted chocolate. 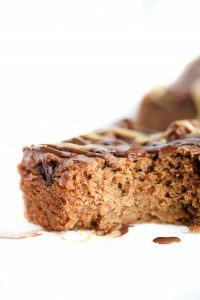 It’s really difficult to 1-up some of my past no-bake bites (remember the Chocolate Mocha Protein Bites, SunButter Craisin Protein Bites or our Chocolate Chip Cookie Dough recipe?) so I thought I’d do something a little different but equally delicious. Let me introduce you to these amazing little gems that I like to call Chocolate Seed Bites. 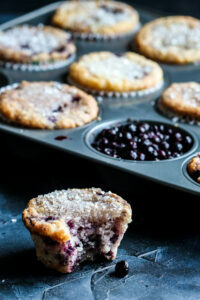 These little bites are Top 8 free, gluten-free and vegan! Even after you dip them into melted chocolate . You just can’t go wrong with that. When I made my No-Bake Apple Pie , I doubled the amount of crust ingredients so I could make these bites for y’all (I’ve been living in Oklahoma too long). The recipe was already spinning around in my head, just waiting to be added to this blog. All I had to do was make them, take the photos and share them. What I absolutely love about these Chocolate Seed Bites is just how simple the ingredients are. 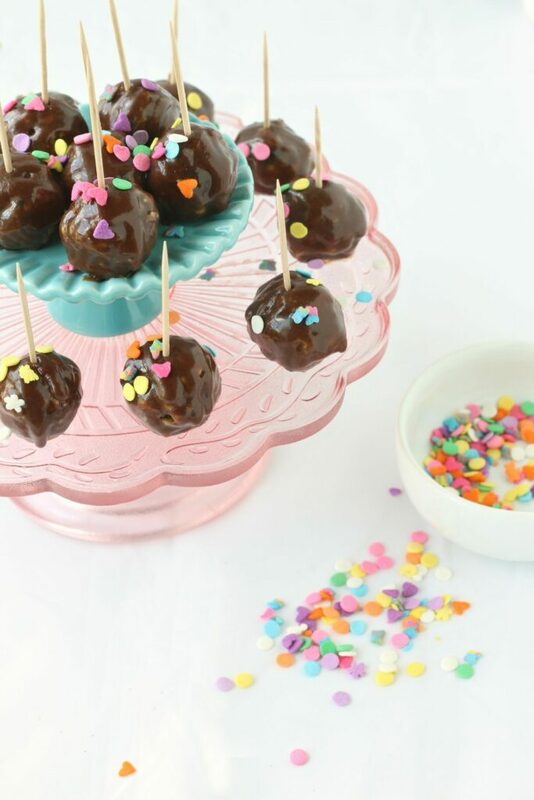 Of course, my kids and I love these bites covered in chocolate but you can easily omit the chocolate coating and sprinkles if you’re going for a super clean treat. You can also replace some of the seeds with brain -boosting walnuts if there is no nut allergy in your home. Out of dates? Figs are a great substitute for those too. See, how nicely this recipe plays with others? Do you have an upcoming road trip that is in need of some healthy snacks? Are you wanting a yummy treat to take to the pool? Maybe you’re looking for a new, allergy-friendly recipe to include in your child’s lunchbox? Whatever the reason, you need to make some of these Chocolate Seed Bites. 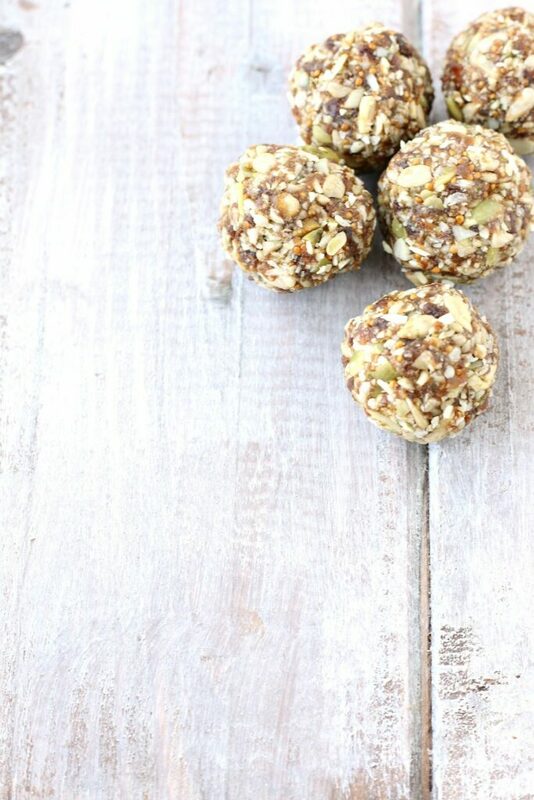 Wholesome and delicious, bite-sized, chocolate coated energy balls made with seeds and dates for a quick pick-me-up or on-the-go snack. In a high power blender or food processor, pulse together seeds, dates and sea salt until a crumbly ball starts to form. Pour mixture onto a clean working surface and knead together any loose seeds. Pinch of 1inch sized pieces and form into small balls. Insert toothpick in the top and place on a parchment lined sheet. Continue with remaining balls then refrigerate. 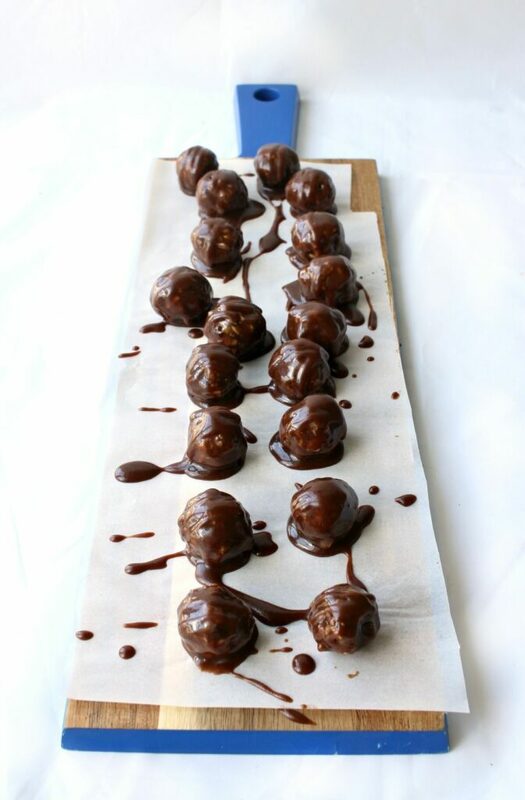 While bites are setting in the fridge, melt chocolate and coconut oil (use the microwave or double boiler method) and stir until smooth. Remove tray from refrigerator and dip each bite into melted chocolate, allowing any excess chocolate to drip back into bowl. Place back on parchment covered sheet then add a few sprinkles (if using). Refrigerate to allow chocolate to harden then place in a covered container for up to 2 weeks. If nuts are not an allergy in your home, feel free to use a combination of walnuts, pumpkin and sunflower seeds. Sprinkles are not necessary but they are totally adorable. Find sprinkles that are safe for you. The ones used in this recipe are gluten free and vegan, however they do contain soy. These seed bites also taste great on their own. Feel free to leave a few without chocolate for a more natural, raw recipe. Still hungry? 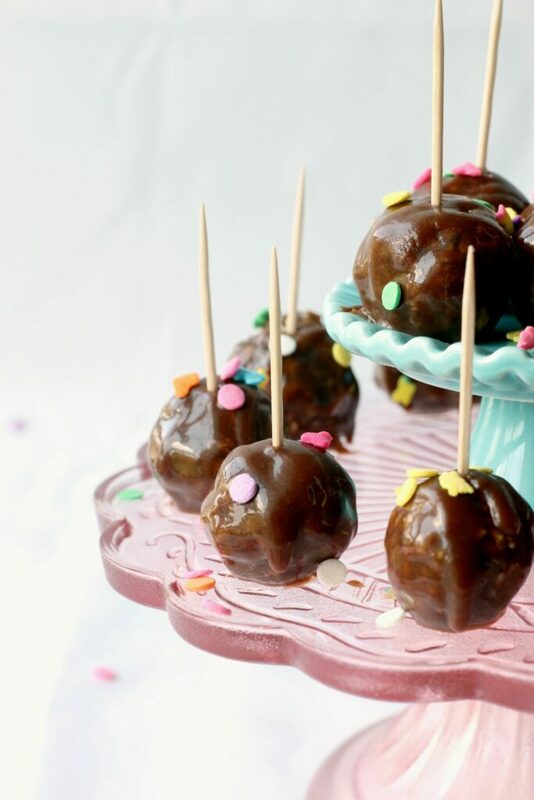 Here’s more no-bake bites you will enjoy. If you like this recipe & want to see more like this, subscribe to Allergylicious and every new recipe will be delivered in your inbox! Be sure to check out my new eBook, called Eat Desert First, which is filled with your favorite allergy-friendly treats. 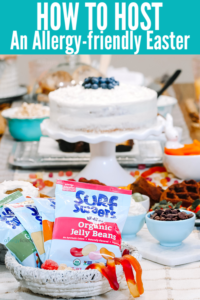 You can also follow Allergylicious on Facebook , find me on Instagram or pin along with me on Pinterest as I share the newest, delicious, allergy-friendly foods. Kids can’t say no to sprinkles. I like the chocolate and sprinkle outside that disguises these healthy little treats. Mom 1, kids 0. Hahaha! Sometimes us Mom’s need a win! These look so yummy! They’d be so much for for holiday parties! I like how you think Dianne. These sound so good. I can only imagine how wonderful the crunchy texture is with the velvety chocolate. YUM!